The allocation of natural gas from domestic fields has been hiked to 100 per cent from the current limit of 80 per cent. But this could prove to be a setback to efforts to boost the penetration of city gas distribution (CGD) networks in the country. The Congress-led United Progressive Alliance (UPA) government has resorted to another populist move prior to the General Elections. It has decided to cut prices of compressed natural gas (CNG) and piped natural gas (PNG) by raising the supply of cheaper natural gas to fuel retailers. In 2009, the Petroleum and Natural Gas Regulatory Board (PNGRB), the downstream regulator in the petroleum sector decided to roll out CGD entities in about 300 Geographical Areas in a phased manner. The domestic gas production in India is stagnant, if not declining, and beyond a point, it would not be feasible to allocate gas from domestic fields. The Cabinet has already capped the domestic gas supplies to fertilizer and power sector from April 1. It appears likely that the domestic gas production might not increase in near future, dealing a body blow to initiatives to spread CGD networks in Indian cities. 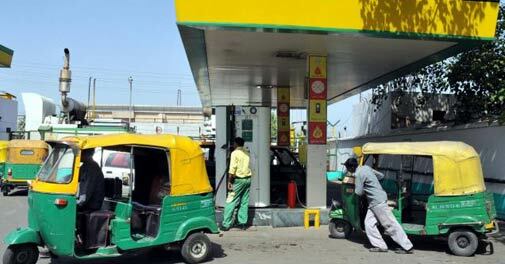 The ministry expects a drop of Rs 15 per kg in the price of CNG. However, CNG prices could rise by Rs 6-8 once the new formula for domestic gas pricing -benchmarking it with global indices-comes into play from April 1. Currently, this might look like an additional allocation of roughly 2 million standard cubic feet per day (mmscmd) gas to CGD - the current consumption is 6.5 mmscmd -but it may have long-term ramifications. India produces 100 mmscmd gas. Most of it is consumed by the fertilizer sector before it is supplied to other sectors. The government's decision now will cut down the gas allocation to the industry including refineries, petrochemicals and steel sectors. It has also been decided that if additional gas is required for CGD networks, these sectors will face further cuts. The impact on industry can only be calculated after the country's gas transporter, GAIL, starts cutting supplies. It remains to be seen whether the affected sectors would be able to bear the burden of expensive imported gas. The paramount question here is : Can India increase its domestic gas production. Petroleum minister, M Veerppa Moily asserts that the new pricing formula will boost gas production in the country. Time will tell. The petroleum ministry is also expecting the state governments to lower/abolish the value added tax on CNG and PNG to pass on additional benefits to consumers across the country. It remains to be seen whether the states will play ball.